and in particular how you ended up being a hijama therapist? 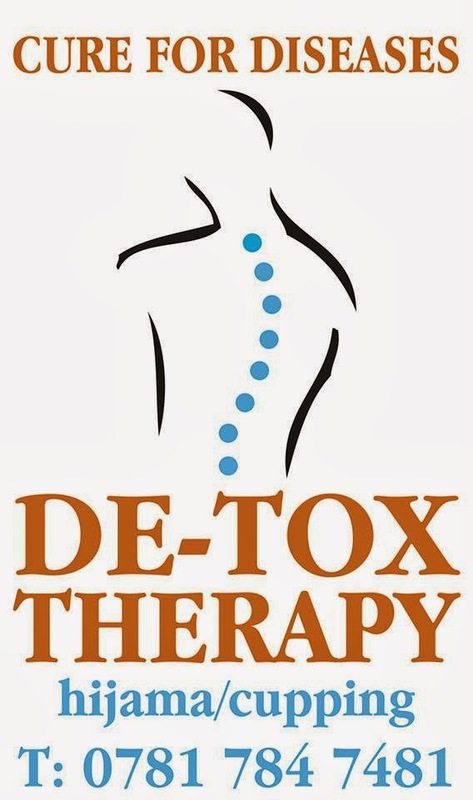 My name is Mrs.Juvaria Khalid and I am the founder and a therapist at Detox Therapy, Manchester. I was brought up and educated in Dubai. I have a background of Physiotherapy from Gulf Medical College, Ajman. It wasn’t really a surprise or difficult for me to learn Hijama as I have always been a student of Science. Alhamdulillah, I got married in 2007 and moved to the UK. Quite interesting is the story of how I got into hijama. I had gone to Hajj in 2008 with my inlaws, and that’s the very first time I heard about Hijama. My father in law, mother in law and sister in law had it done in Madina. I was quite scared at the sight of the marks. But, its actually when i saw the benefits that my interest grew. My mother in law could not do sujood(in prayer) for a whole year. My father in law insisted on her getting cupped as he could feel a difference within himself when he had it done. Alhamdulillah, by the Grace of Allah, my mother in law did her sujood in Masjid Annabawi after a whole year and on that very same day that she had hijama done. Also, her High Blood Pressure tablets decreased to just one tablet a day instead of 3. Witnessing these benefits, I searched for courses in UK and found NHNF, from where i did my Hijama course Alhamdulillah, with a very well respected and experienced teacher and practitioner : Sister Anisa Kisson. Yes, Alhamdulillah, they all have responded very well to cupping..
Mostly Arthritis, IBS, eczema , hyper tension, Migraines are a few conditions in which instant results can be seen, whereas, the others do require a few sessions depending on the how chronic the illnesses are. I do tell a lot of my clients about this 17 year old, college going girl , whose mother had been to every doctor, therapist, practitioner and tried all remedies you can think of, but, nothing seemed to cure her daughter’s eczema which was spread all over her body since birth. It had started effecting her internally as well , due to which she had very low immunity. She would go a week to college and be off for the next as her body could not cope. Alhamdulillah, Subhan Allah, ONLY after the first month of hijama, this sister conceived the very next month. Hijama has a lot to do with the belief of people I say. Our Prophet was commanded by the angels about Hijama. I strongly believe, a Sunnah of our Prophet can never cause us any harm..
For a healthy person who would want to get it done for general well-being, it is recommended to have hijama done every 3 months or so..
For a person with illnesses, it is recommended once or twice a month, depending on the age, and how chronic the illness is. Alhamdulillah I get cupping done every 3-6 months for general well being.. The first time I had it done was for my migraines and Alhamdulillah I didn’t need to get it done for it again..
Our thanks to Juvaria Khalid for sharing the above post. If you have any questions or want to leave some feedback, then please do so via a comment* below.